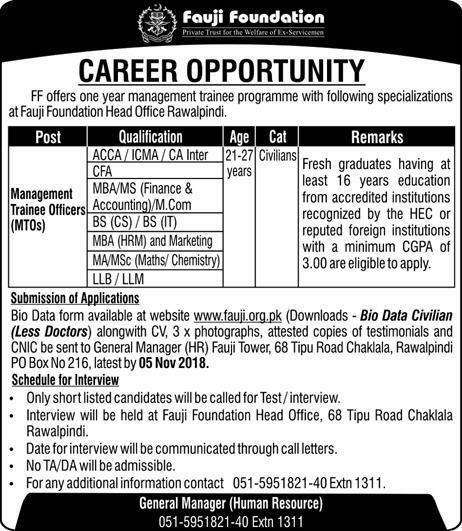 Fauji Foundation offers one year Management Trainee program at Rawalpindi head office. Interested candidates can apply through proper way. 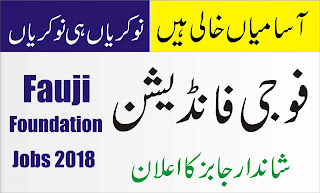 Fill online form at Fauji Foundation official website (fauji.org.pk) and send your application along with mentioned documents. Only short listed candidates will be call for interview. 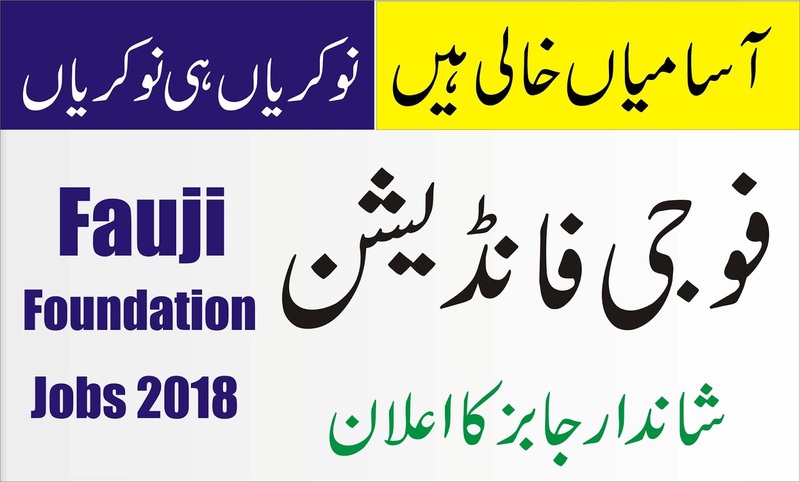 Interview will be held at Fauji Foundation 68 Tipu Road Rawalpindi. Date for interview will be informed by post.